Superior performance, exquisite style, and cutting-edge technology are what you expect from Mercedes-Benz. For as long as you drive your vehicle, our commitment to you continues with world-class Mercedes-Benz service, parts, and accessories. Whether you need something simple like a tire rotation or brake service or need major maintenance like transmission repairs, we’ve got you covered. Ready to bring your Mercedes-Benz car in for service near Great Falls? The Mercedes-Benz of Tysons Corner Service Department now offers online service scheduling for your Mercedes-Benz, so please schedule service at your convenience! We offer Mercedes-Benz Service A, Service B, or any other repairs you need! 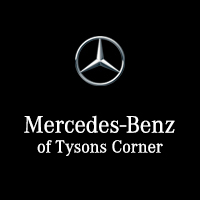 The Mercedes-Benz of Tysons Corner Service hours are 7 AM – 7 PM Monday through Friday and 8 AM – 4 PM on Saturday. We hope you rely on our Mercedes-Benz technicians for all of your maintenance needs in the Great Falls area!